The must-read summary of Barry Farber and Joyce Wycoff's book: "Breakthrough Selling: Customer-Building Strategies from the Best in the Business". 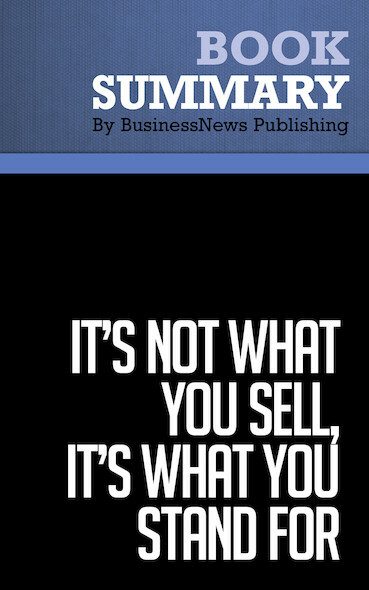 This complete summary of the ideas from Barry Farber and Jocye Wycoff's book "Breakthrough Selling" shows that many people sell products, but not all of them are good at selling. In their book, the authors explain how some of the best salespeople have succeeded by providing outstanding customer service. According to Farber and Wycoff, the key to success lies in the ability of an organizationﻡ؟ﺵs salespeople to become true partners with their customers. By reading this summary, you will learn how to develop customer-building strategies in order to make breakthrough sales. To learn more, read "Breakthrough Sales" and discover the strategies of the best salespeople that can help your company to make breakthrough sales.